In celebrating the launch of Steam for Mac today, Valve Software has put out an enticing promotional campaign differing from their usual free weekends for content pack updates to their other games, such as Team Fortress 2 and Left 4 Dead. This time, they will offer Portal for free, for everyone to keep forever, as long as they respond by May 24. Both Windows and Mac OS X gamers can once again play the much loved puzzle shooter of 2007’s The Orange Box that has won nearly 70 Game of the Year awards. To get the game, simply download a copy of Steam if you haven’t already, and visit the landing page on Steam. 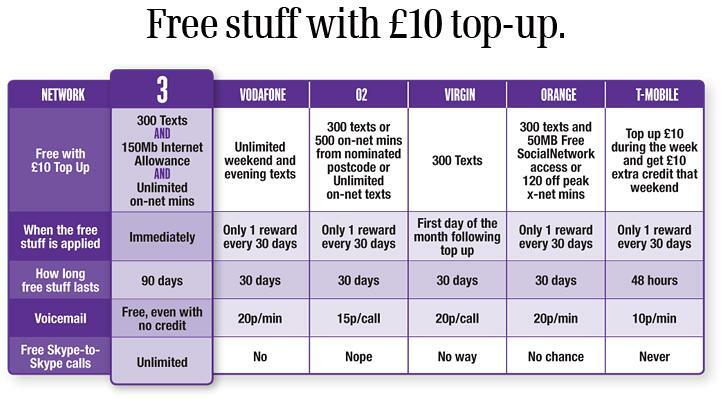 Three, a mobile phone network in the UK have some pretty nice deals for pay and go customers, i actually found this out by clicking an advert on my own website too. 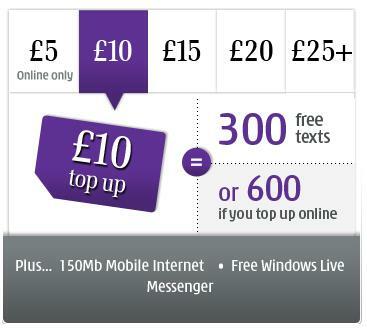 Every time you top up £10 you will get 300 free txts (600 if you do it online!) 150mb of internet usage and free use of Windows Live Messenger and Skype. If that’s not good enough they also say your txt and internet usage allowance will reset as soon as you top up and not in 30 days time. I’m on o2 pay and go at the moment and spend £10 a month with that i get 300 free txts and 1mb (yes 1mb) of internet usage after I use that 1mb I’m charged £3 per mb. I also can’t use Windows Live or Skype with o2 even if I wanted to as its blocked! I’m really thinking about switching to Three, as ill get double the texts and would actually be able to use the internet / Windows Live Messenger on my phone when im not in an area with Wi-Fi. Also a little rant at o2: I’ve been with o2 since the start of 2003 (they were the best back then) but they really are in the dark ages when it comes to internet usage, with them unlimited internet access @ £7.50 a month has a fair usage policy of 250mb, not really unlimited is it? If you pay for the £7.50 internet deal everything like Msn, Skype and so on is still blocked anyway! You also get £10 free credit for transferring your existing number to Three, something i will really have to think about doing! Compared to other people my age I was a late starter when it comes to gaming, the first computer we owned was an Amiga 500 which I think we got that in the Summer of 1994. Before that a few of my friends in School owned a Sega MegaDrive and I used to love playing Sonic, Sonic 2 and Golden Axe on the MegaDrive. 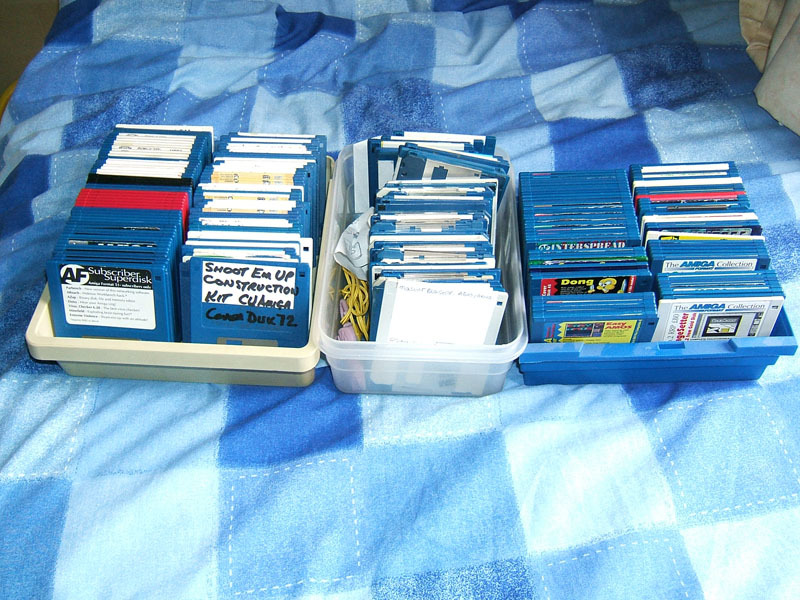 The Amiga we got was from my cousin, It came with two massive disk box’s fill of games, I enjoyed so many of them I was still finding games I hadn’t played a year after we got the Amiga. I remember the day I discovered The Chaos Engine, I don’t know what it was about that game but I really was addicted to it. I remember coming home from school, doing my homework then my friend who lived down the road use to come up and we would spend hours playing a co-op game on it. We eventually after many games we made it to the 4th and final world where we were gutted to find out the Amiga wouldn’t read the disk, we tried everything to get the disk to work but sadly it just wasn’t having it, I have never to this day complicated the game (although it’s something I’m really going to have to do at some point) It was impossible to find a copy of the game in any shops back then so I had to move on and find a new favourite game. I enjoyed many games on the Amiga, off the top of my head I remember Lemmings, Lemmings 2 The Tribes, James Pond and Robocod 2, The Chaos Engine, Desert Strike, Jungle Strike, Putty, Worms, Lotus Turbo Challenge 2, Crazy Cars 3, Skidmarks and The Settlers, That was my next big game on the Amiga and the game to get me interested in strategy games, I remember with an extra mouse you could play 2 players split screen on it. I remember spending many Saturdays with the Amiga hooked up to the big front room TV playing the Settlers on split screen, I played that game for months on end along with Worms, worms was another big game as you could play it with up to 4 people so it was great to play with friends. In 1998 we got a PC and the Amiga didn’t really get much attention anymore. Some of my old Amiga games, I’m quite sure I have more somewhere but I could only find these in the bottom of my cupboard. In 1998 we our first PC! The pc ran Windows 98 and was a Pentium 2 @ 300mhz, 128MB of Ram, 4mb Ati Graphics Card, Sound Blaster AWE32 Soundcard and an 8.4gb hard drive I was told we would never be able to fill, We ended up having so many games we filled it and had to get a 13gb hard drive the next summer, at some point around this time we also got a Voodoo 3200 graphics card which allowed me to play some 3dfx Games! But sadly that was incompatible with my motherboard for some reason I can’t remember (caused a lot of Bsod’s) so we ended up with a 32mb Geforce 2 MX. Anyway the games, the first game I owned on PC was Croc Legend of the Gobos, I remember been amazed at how much better the graphics were compared to my friends version of the game on the Playstation. I soon discovered many amazing PC games including Carmageddon 2, Red Alert which I thought was amazing, I still don’t think any of the Red Alert games best the first one! The Settlers 2, ( could never work out how to get Windows to support 2 mouses, this game said it supported a second mouse for 2 players but both mouses ended up controlling the same cursor in the game… although I enjoyed the game it didn’t get anywhere near as much attention as the first because of this.) I remember having a demo cd with had demos of Age of Empires, Jazz Jackrabbit 2, and Quake 2 on it three games i played the demo to death on, I remember Age of Empires was like the next big game to me when we finally got the proper game, I remember myself and some friends used to take it in turns to build a big empire and destroy the computer in skirmish games. One day in PC world I remember finding a copy of Jazz Jackrabbit 2 The Secret Files, I was amazed as I had been wanting to play the full version of this game for ages so i purchased that and played the game to death, then i got playing with the level editor and made many levels for the game, I still have them in a folder some where today. Anyone remember when PC games came in massive boxs? 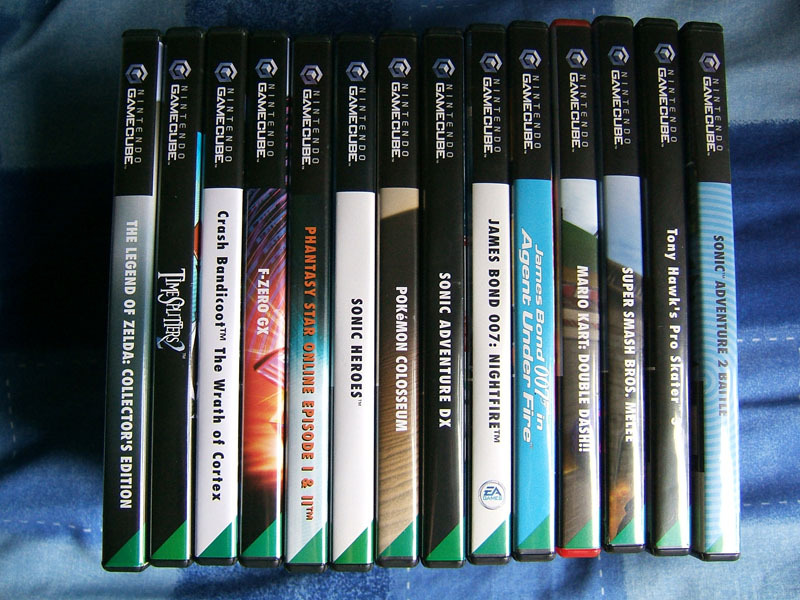 In 2002 I was really wanting to play some new games but our PC just wasn’t powerful enough to cope with the newest games, So I got a GameCube which was the first console I ever owned. I was amazed by the graphics on and loved played Sonic Adventure Battle 2 and Tony Hawks 3 on it, Later on I got James Bond, Smash Brothers Melee and Mario Kart for the cube, after Mario Kart no new games released for the cube really interested me so I went back to been a PC gamer as I recently just built my first pc so I was able to play all the new games on the PC. In 2004 I purchased an Xbox, I didn’t buy the Xbox for its game’s I was more interested in how it could be hacked to run homebrew applications and be used to play Xvid and other media on your TV using Xbox Media Center. The only games I really played on the Xbox were Halo and Halo 2, I thought the PC had far better games at the time. I did enjoy playing Halo 2 on the internet using Xb Connect and Xlink Kai… at the time I thought it was a rip off paying £40 a year for Xbox Live just so I could play Halo 2 online. At the end of 2005 I get caught up with all the hype about Xbox 360 been released, I pre ordered one from Amazon and was one of the lucky few to actually get one from them on launch day, I was amazed how I could talk to people over Xbox Live when playing any Xbox 360 game. I remember brining up the guide and starting a voice chat with a friend and he was able to guide me through beating a boss on Kamio which I was stuck on. I really liked the whole achievements idea the Xbox 360 had and it became quite addictive doing things you normally wouldn’t do in games just to try and get the achievement. The other thing that impressed me about the 360 was you could look at your friends list and hop in to a multiplayer game with any of your buddies, I was also impressed how you could see what game’s your friends were playing and where in the game they actually were. I think at this point I became more of a console gamer than a Pc gamer, a lot of my friends were console games anyway and I was able to play online with them for the very first time. 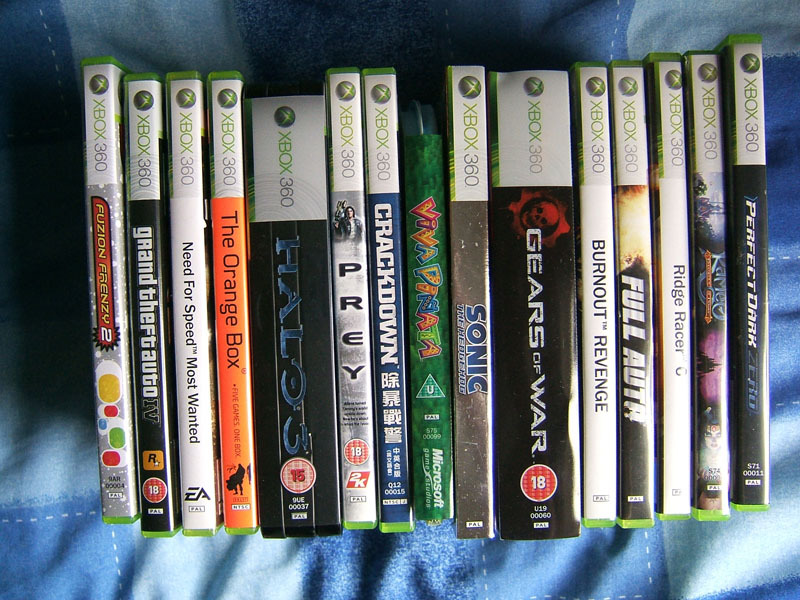 Another reason I was more interested in consoles was that the 360 was getting all the games I wanted to play such as Gears of War, Carckdown, Halo 3, Burnout and the many arcade games I enjoyed playing such as Bomberman, Heavy Weapon, Geometry Wars and old Classics such as Golden Axe. It was also the first time in my opinion consoles had PC quality graphics, after getting a 360 I didn’t really bother upgrading my pc anymore until the end of 2007… I didn’t see the point as it was fine for everything I used it for and the 360 filled all my gaming needs. 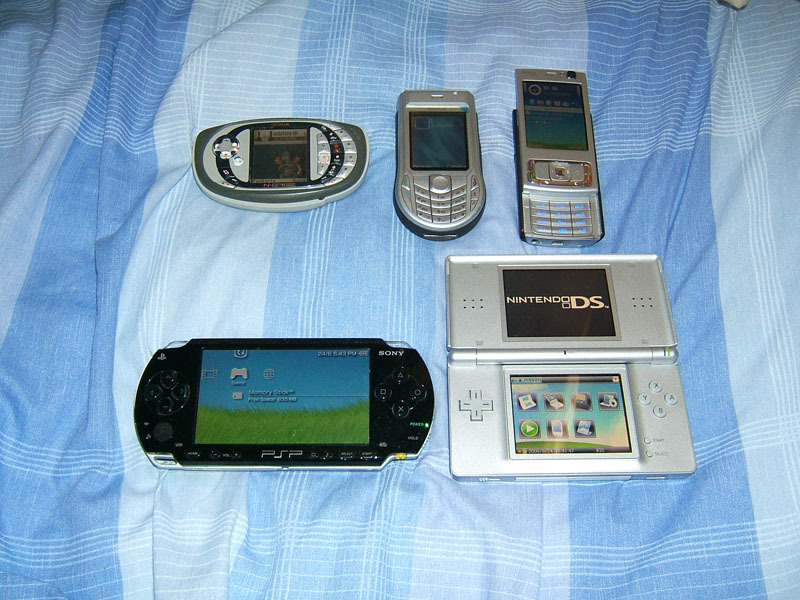 Over the years I have owned a few hand held consoles such as the Gameboy Pocket, Gameboy Advanced, Ngage, PSP and Nintendo DS. I don’t really think any of these console had a significant impact on my gaming history. I did spent quite a lot of time playing Pokemon on the Gameboy back in the day 😉 but apart from that I’ve mainly used them for long car or train journeys. 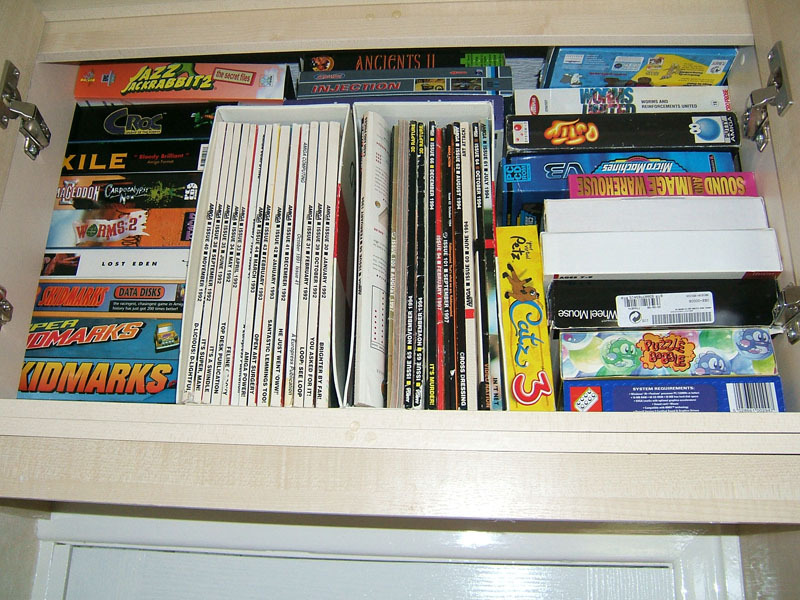 I hope you enjoyed reading this, it took me quite a while to write and I know it’s a bit of an Essay (word is telling me 1600+ words) but I thought this was a very interesting topic and found it interesting looking back over the games and consoles I have played on over the years. Feel free to comment here or reply on the Digiex Topic.